The Phi Phi Island mosque is a place of worship where most of the local Phi A Phi population and other Muslims go to pray together. As recently as 60 some years ago, there were no humans on Phi Phi Island. The only visitors were known as Sea Gypsies. In 1950, the first settlers arrived from north of the Phi Phi Islands, followed by settlers from Koh Lanta and then the Krabi provinces. The Phi Phi Islands are in Thailand between the larger island of Phuket and the Andaman Sea coast of the mainland. Phi Phi Don is the larger of the two islands of Phi Phi; the other being Phi Phi Ley. They are part of the Krabi province. Ko Phi Phi Don has residents and Phi Phi Ley does not. There are other small islands in the group, but they are very small. 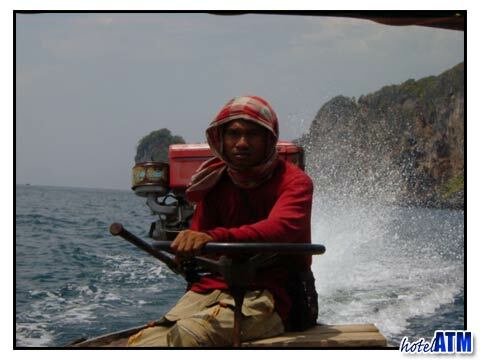 Muslim fishermen once populated Ko Phi Phi Don , during the late 40's. Almost all of the inhabitants of the Phi Phi Islands are Muslims. There is one mosque on the islands, and it calls Muslims to prayer each and every day. It can be heard throughout the village of Koh Phi Phi Don every morning and evening and almost all the local villagers attend. Tourists staying on the Phi Phi Islands can often hear this early morning call to prayer at 5:00 am, because it is done on a loudspeaker. The Phi Phi Island mosque is very important to the Muslim's on Phi Phi Island because is represents in a very humble way man's ability to create pure divine presence on earth. 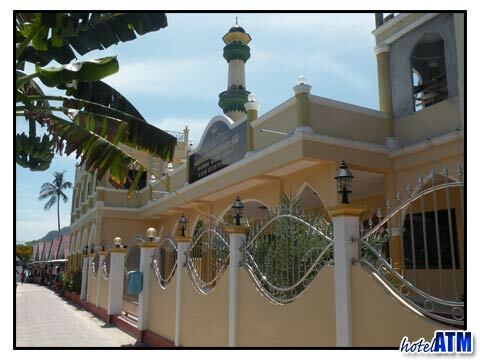 Praying in the mosque has always been important; but particularly so since the 2004 tsunami. An interest bit of history about the Phi Phi Island mosque is that on the eastern coast of Phi Phi Don there is a beautiful beach called Hat Rantee. Tourists and locals love to surf on this beach. For many years, locals would not allow any tourist attractions like accommodations, etc. to be built on this beach because the large village mosque lays amount coconut groves in the area. But because of economics the mosque now sits among huts and other tourist accommodations.